Lennar Homes is building a new neighborhood adjoining Murrells Inlet’s International Club Golf Course. Brookfield Estates features four of the quality home builder’s elegant 3 bedroom floor plans, designed to fit whatever your family needs might be. Exceptional master baths and walk-in closets are stand out features in these homes which offer upgrades like hardwood flooring, up-graded cabinetry, gourmet kitchens equipped with GE stainless steel appliances., and so much more. Magnolia I, starting at $254,990, 2,521 sq. ft., 3 bedroom and 2.5 bath with 2 car garage. Crepe Myrtle, starting at $235,990, 1-story, 2,151 sq. ft., 3 bedroom and 3 bath with a 2 car garage. Litchfield, starting at $214,990, 2-story, 1,864 sq. ft., 3 bedroom and 3 bath with a 2 car garage. Rosewood, starting at $204,990, 1-story, 1.746 sq. ft., 3 bedrooms and 2 baths with a 2 car garage. There is a community pool with a covered pavilion, playground, picnic/grilling area, and residents enjoy great golf at the famed International Club Golf Course. Home Owners Association fees are about $119 a month which covers grounds maintenance, amenities upkeep, common areas, trash pickup, and basic cable and internet. Huntington Beach State Park and Garden City Beach are nearby and offer beautiful beaches, excellent fishing, and wonderful nature trails for hiking. The Wacca Wache Marina and the public boat ramp service boaters’ needs. Amazing sunsets provide the backdrop for delicious dinners at waterfront restaurants. 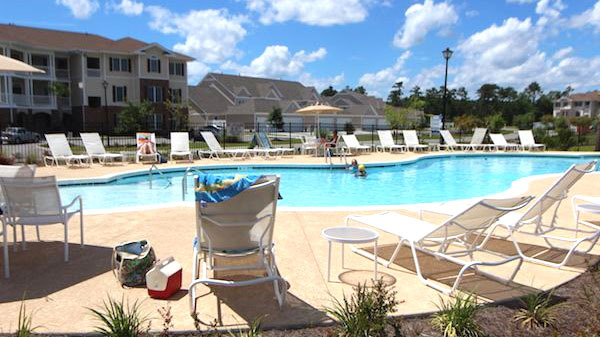 Only 15 minutes from Myrtle Beach and the Grand Strand, entertainment options are unlimited. Build your dream house or choose a home that is ready to move into, it’s up to you. 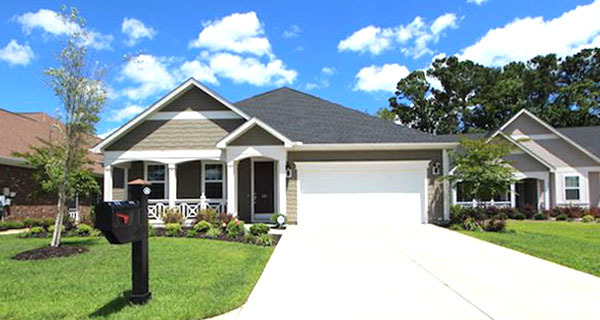 For more information on new homes for sale in Myrtle Beach visit our website and speak with our real estate experts to set up a private tour of the beautiful new homes for sale at Brookfield Estates at The International Club.